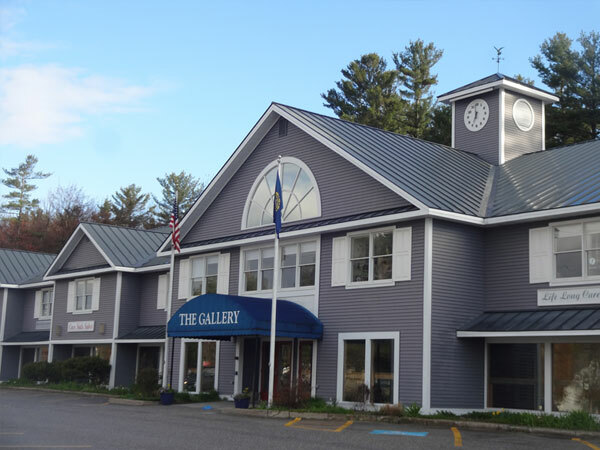 New London NH Real Estate Services | HODAN Properties Inc.
276 Newport Road, New London, New Hampshire. Second floor professional suite located in The Gallery. Suite offers 2 offices, reception area and a breakroom / storage area with a total of 629 square feet. Please call to schedule an appointment to view this rare opportunity. Hodan Properties, Inc. provides comprehensive Real Estate Services specifically designed to meet your objectives. Services include Leasing, Sales and Valuations. Hodan Properties, Inc. is a fully licensed New London, NH Real Estate Firm. Hodan Properties, Inc. was incorporated in 1974 as a Residential and Commercial Real Estate Management Firm that today manages property worth well over 30 million dollars. Hodan Properties, Inc. is managed by Daniel H. Wolf, President and Chief Executive Officer. 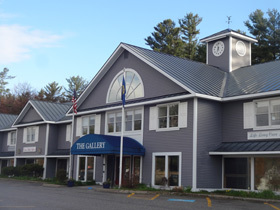 We are dedicated to keeping your New Hampshire, Vermont, and/or Massachusetts property competently managed, fully occupied, and properly maintained. Our goal is not only to maintain your property, but to increase its value. Over the past 35 years Hodan Properties, Inc. has been involved in millions of dollars worth of property development. Projects range from hotels to shopping centers and marinas.